Online reviews are the new word of mouth. Many consumers will check a company’s online reviews prior to making a purchase decision, which is why it is important to manage your online reviews on a daily basis. Below are 8 quick and simple ways to use your reviews to help your local SEO, marketing, and conversion efforts. #1: Research your reviews to learn why your customers love your service. 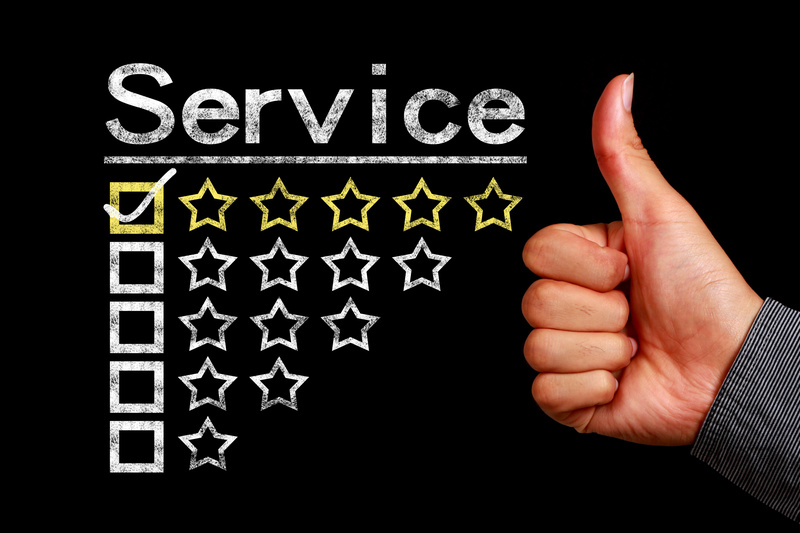 Analyze your reviews to get a better understanding of when your service earns a 5-star review. What do your customers like most about your service? Your thoroughness? Your timeliness? Your friendliness? #2: Research your competitor’s reviews to learn how to make your service better. Be diligent about checking your top competitors’ reviews. Look specifically at what they do best. Use this information to make your service better. If your competition is affordable, how can you optimize your pricing and services? If your competitors have a great service experience, what are they doing that makes their service so enjoyable? #3: Go the extra mile! Acknowledge customers who leave a review. Don’t stop offering superior service as soon as you collect the final payment. Be sure to leave a comment to thank your customer for their time. We recommend something like this: “Thank you for the great review, John! We greatly appreciate your business. Please don’t hesitate to contact us should the need arise.” This will create repeat business and will turn your customers into promoters of your service. #4: Don’t be shy to ask for more reviews. They did it once, so they’ll probably do it again! If you provided a service that led to a positive review on Yelp, don’t be afraid to ask your customer to leave a review on another site like Google. Most satisfied customers will gladly help you out. #5: Use bad reviews to show you’re reasonable. Don’t let a bad review send you into a tailspin. Take a deep breath and consider what the customer is saying. If the error was truly on your part, own up to the mistake and gracefully ask the customer to contact you so you can make it right. If the problem is no fault of your own, calmly point out why the issue cannot be resolved and sympathize with their complaint. #6: Boast your 5-star reviews on your website (and link back to the review source). Your website claims that your service is great, but can your customers really believe YOU? Don’t be afraid to brag about your great reviews on your own website, but be sure to link to the review site so customers can easily research the validity of your claims. #7: Show third party badges. Include badges from Yelp, Angie’s List, Home Advisor, Google, etc. as proof that you offer top rated service. #8: Place a snippet of a 5-star review in your email signature with a link to “Read more reviews.” Constantly remind people that you offer top-rated service by adding a link to your highest rated review site in your email signature. Remember, promoters of your business account for more than 80% of your referrals. So take the time to create a company strategy for how you will manage and maintain your online reviews. Want help getting more online reviews? Use our Review Tool for FREE.